We The People has three stores and shop-in-shops in Singapore, including a flagship store at Millennia Walk mall (9 Raffles Boulevard). Founded in 2016, We The People (WTP) is a multichannel crowdfunding retail chain and community. At the store shelves are unique & innovative products from projects that have been made possible by crowdfunding on Kickstarter. 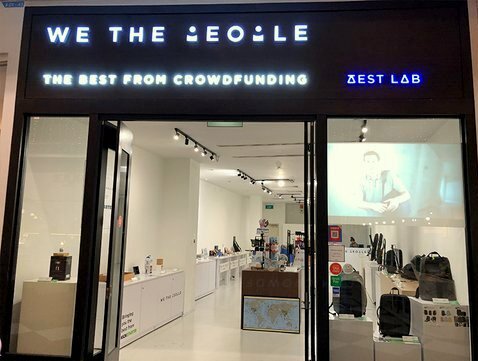 Each of the We The People locations brings together the global creator community and provides education, e-commerce, and brick-and-mortar retail space for entrepreneurs as a hub of innovation in Asia and around the world. …Wallets, Watches, Board & Card Games, Puzzles & Kits, Kitchen & Bathroom Products, Pets Products, Smart Home Products, Portable Audio, Home Entertainment, Mobile Phone Accessories, Travel Adapters, as well as Travel Accessories. The official We The People Store Singapore Facebook brand page is available at www.facebook.com/WeThePeopleStoreSG/. We The People Store also has an official Instagram account, which in turn is located at www.instagram.com/wtpstore/.